Based on the R-series design, the multidirectional BT Reflex F-series of reach trucks offer AC power, clear-view masts, 360° steering and sideways battery exchange for increased productivity and manoeuvrability. A front facing driver seat and hydraulic fork spreading up to 2.22 metres provide improved versatility in horizontal and vertical load handling. Suitable for heavy-duty applications, our multidirectional reach truck is capable of handling both conventional pallets and long loads, such as steel beams and plastic pipes. 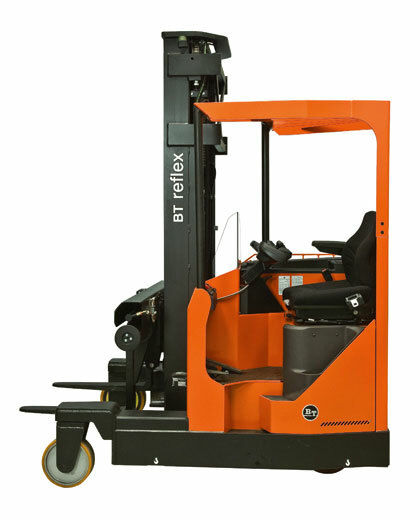 Offering a front facing driver seat and hydraulic fork spreader as standard equipment, the BT Reflex F-series reach trucks are designed to handle long loads with ease. AC technology and sideways battery exchange improve durability and performance during heavy-duty operations, whilst a spacious cabin and four-way handling capability enhance driver comfort and mobility. 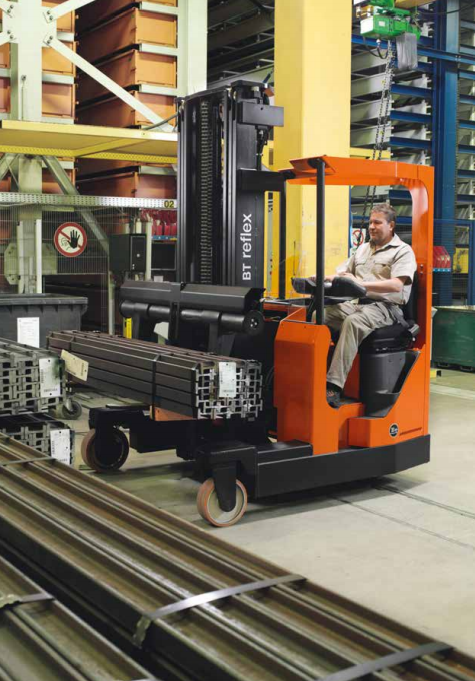 Featuring the highest load capacity in its range, up to 2.7 tonnes, our F-series reach trucks are an ideal choice for both long load handling and heavy-duty stacking.